Immediately after Labor Day, RGRTA CEO Bill Carpenter was on hand for the inaugural voyage of the newest addition to RTS’ stable of bus routes. 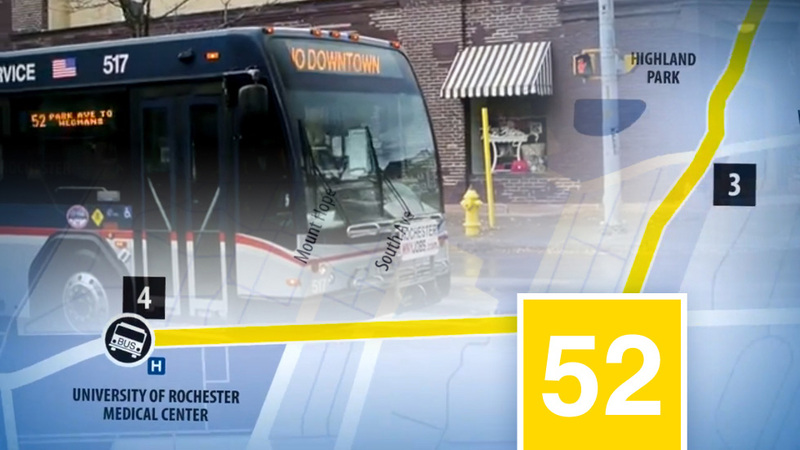 A route planned with the University of Rochester Medical Center’s parking situation in mind, Route 52 crosses through the heart of the vibrant Monroe and Park Avenue communities before terminating at the brand new East Avenue Wegman’s store. A potential threat to the preservation of rights-of-way for a light rail line between downtown Rochester and the University of Rochester is the City of Rochester’s plan to convert the bridge into a bike/ped-only bridge. It’s important to note that creation of the bike/pedestrian link itself will not preclude transit; on the other hand it is important that the project be treated as a rails-with-trails project rather than a rails-to-trails conversion. This will ensure preservation of the right-of-way for possible future transit. 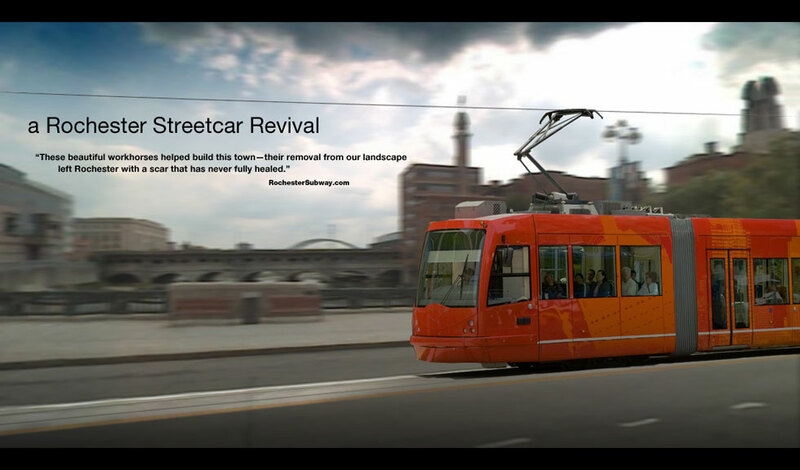 A rails-to-trails conversion will make a later conversion to rail transit difficult, whereas a rails-with-trails project specifies that an adequate dedicated right-of-way (strip of land) be specifically preserved for future rail transit use. The following article was published at RochesterSubway.com on 2010/02/16. Two weeks later 6 citizens got together and Reconnect Rocheseter was born.